Not only is it April Fools’ Day, it’s Weird Stuff Wednesday! 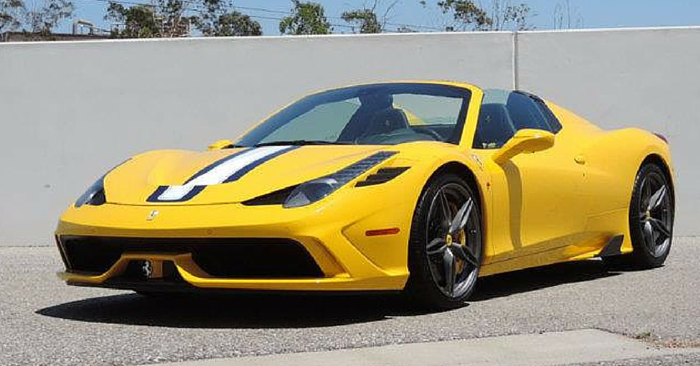 Each day thousands of vehicles are added to Carsforsale.com, and we love digging through them to find the most fun, strange and interesting cars from all over the country. 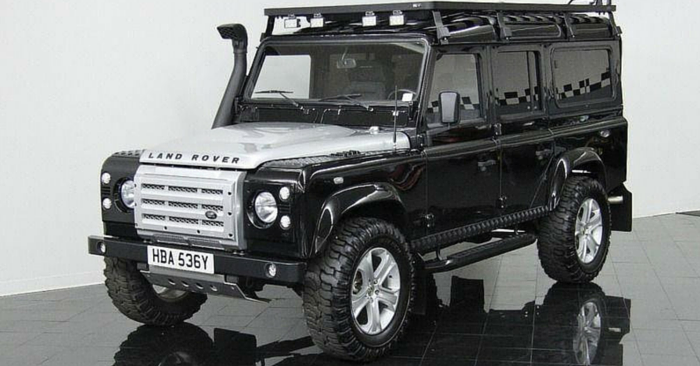 No April Fools’ jokes here, these Weird Stuff Wednesday vehicles are all real. 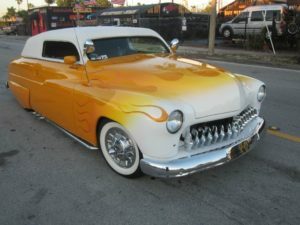 Our first pick for Weird Stuff Wednesday is this chopped 1950 Mercury Lead Sled for sale in Ft. Lauderdale, FL. The term “lead sled” is bestowed upon heavily modified stock vehicles from around ’49-’51. This submarine-shaped, low riding Mercury is fully restored with orange and white flame designs on the exterior and a toothy chrome grill. The rear features an iconic, large James Dean decal. For those who don’t know, James Dean drove a ’49 Mercury in Rebel Without a Cause. Inside, the steering wheel and inside door panels continue the flame-themed design. The interior leather looks incredibly comfortable; behind the front two seats, this hot rod has wraparound leather seats that resemble a limousine. Completely customized and absolutely beautiful, this ’50 Lead Sled is a head turner. Next, check out this General Lee themed 1970 Taylor-Dunn R Series Eagle for sale in Paris, KY. It isn’t a 1969 Dodge Charger by any stretch of the imagination, but it does have the General Lee air horn. It may be from 1970, but this cart has been equipped with an amp under the seat, four speakers and an mp3 hookup port. 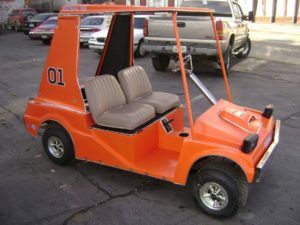 Aside from the standard General Lee orange and number 01, this cart has a chain steering wheel, a foot-shaped gas pedal, headlights and four extended chrome tail pipes. A golf cart probably doesn’t need help cooling the engine, but the 01 labeled chrome-trimmed hood scoop certainly doesn’t hurt. Wipe the drool from your chins, Batman fans. 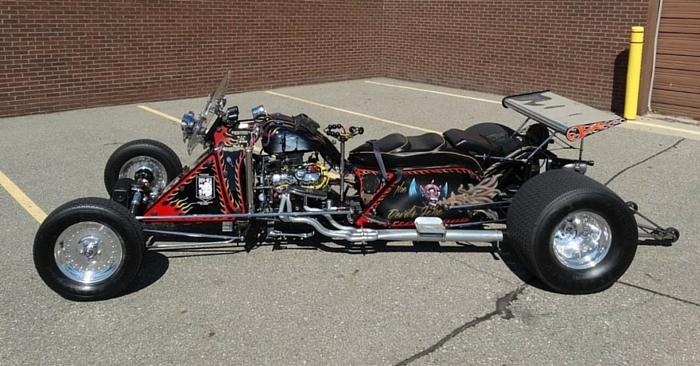 The grand finale of this week’s Weird Stuff Wednesday is a 1953 Batmobile for sale in Miami, FL. The Batmobile has evolved dramatically over the years. Back in the ‘60s, Batman drove a car that resembled this one. 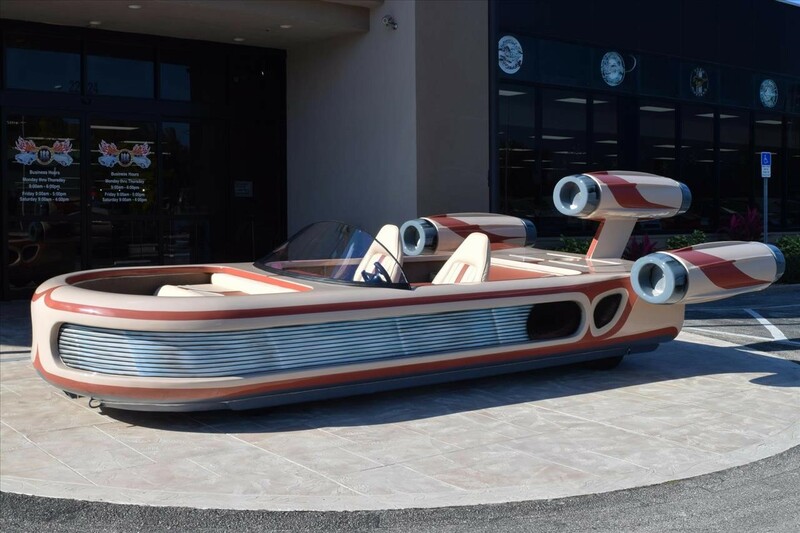 The original TV Batmobile was built upon a Lincoln Futura, but this Batmobile was built on a ’99 Cavalier. This Batmobile has Batman seat covers and Batman floor mats. The rear fenders cover the tires and are risen and embossed to resemble bat wings. 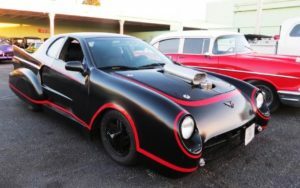 The steel-plated rear and lack of open-top with rounded windshields may upset some die hard Batman fans, but we love how this Batmobile brings a modern spin to the classic bat car of old. If you find a vehicle on Carsforsale.com that you think should be included on Weird Stuff Wednesday, leave a comment below or give us a shout out on social media.